Measuring in 5 inches long, just over an inch wide and thick, the Herva Viva easily slides into your pants or jacket pocket for comfortable travels. 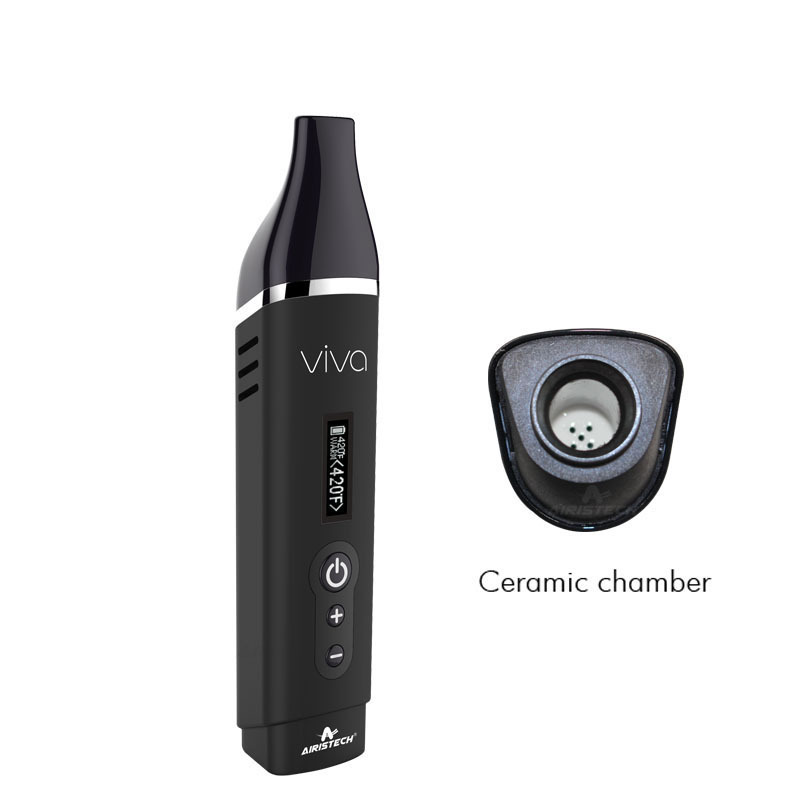 It has a high grade ceramic heating oven that reaches your desired temperature in just 20-30 seconds while heating your material evenly and efficiently for a satisfying quality of vapor every time. Using the Airistech Viva is as easy as it gets, even for the most novice of users. 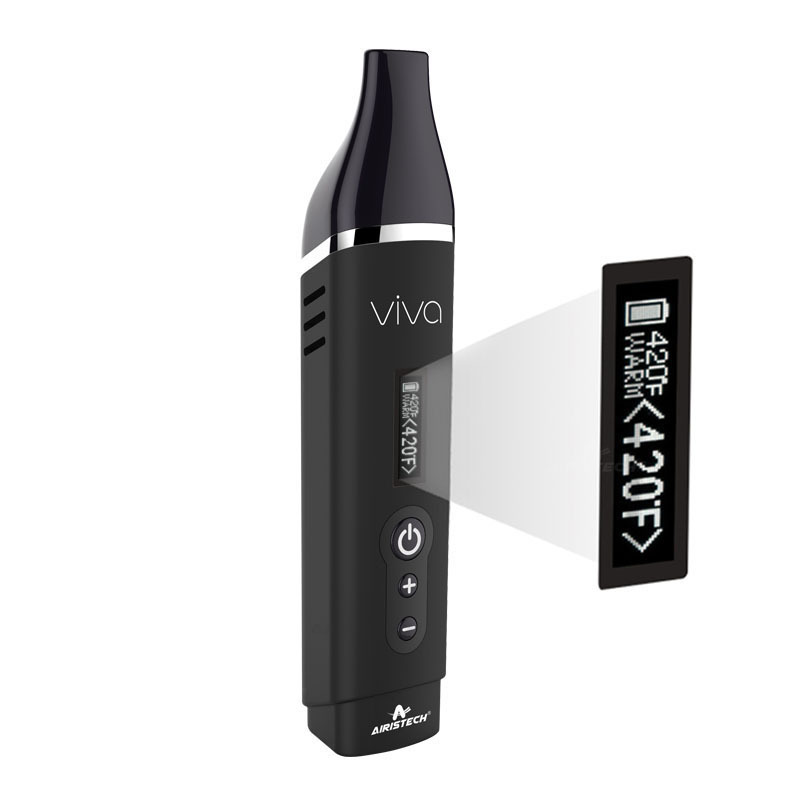 Pop open the Quick-Access mouthpiece, drop in your finely chopped dry blend, and quickly press the power button 5 times to begin a cycle. From here you can select how high or low you want the Viva's chamber to reach. Using the + / - buttons on the face of the device you can select anywhere within the range of 300-435°F, leaving you with plenty of room to achieve just the results you are after. 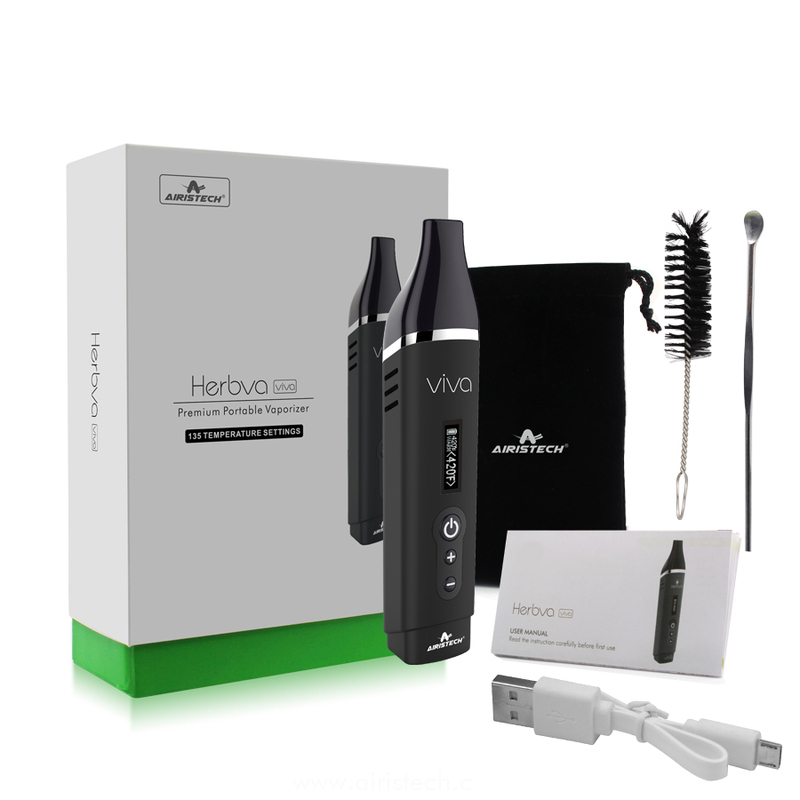 On this screen you can also view the Herbva Viva's battery level. 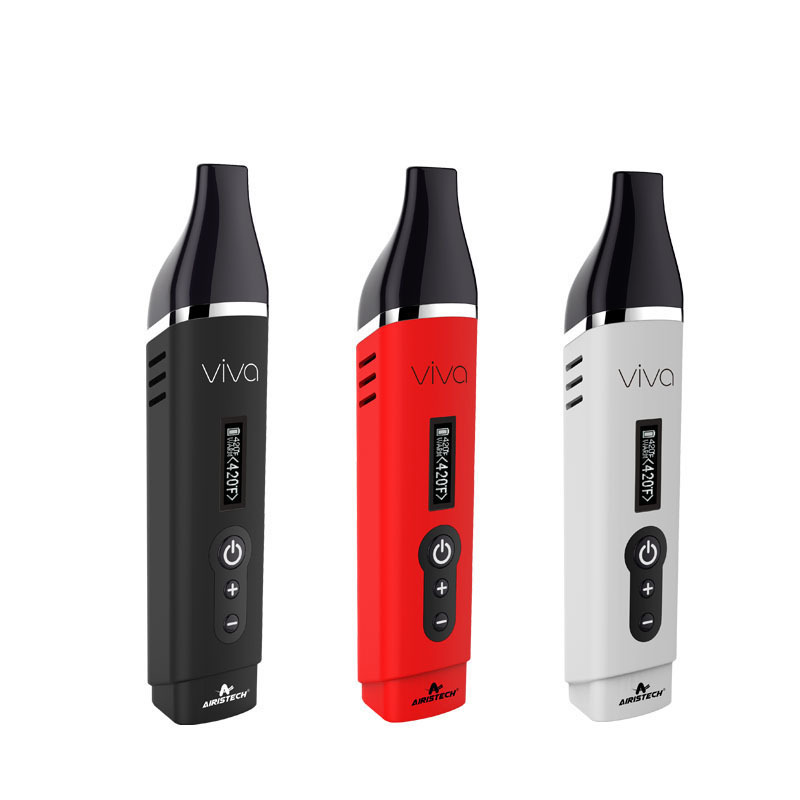 It has a premium 2200mAh lithium-polymer battery that will keep you going all day long and when the time comes to recharge you have a USB charging cable included in every kit to get the job done in just a couple of hours.